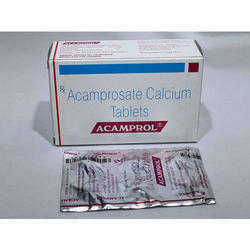 Providing you the best range of acamprosate tablets, acamptas tablets, naltrexone tablets, acamprol tablets, nodict tablets and esperal tablet with effective & timely delivery. Acamprosate Usually prescribed three times a day. Taking it with breakfast, lunch, and dinner may help you to remember all three doses. Acamprosate helps to prevent you from drinking alcohol only as long as you are taking it. Acamptas Usually prescribed three times a day. Taking it with breakfast, lunch, and dinner may help you to remember all three doses. Acamptas helps to prevent you from drinking alcohol only as long as you are taking it. 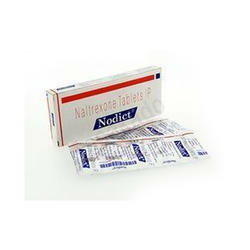 We are engaged in offering Naltrexone Tablets for our priceless customers. The offered Naltrexone Tablets is extensively administered to those patients struggling with dependence on alcohol. With its precise composition, Naltrexone Tablets is highly effective and shows spectacular results within the stipulated time period. Naltrexone Tablets is made available in standard blister packaging. Acamprosate is thought to stabilize the chemical balance in the brain that would otherwise be disrupted by alcoholism, possibly by blocking glutamatergic N-methyl-D-aspartate receptors, while gamma-aminobutyric acid (GABA) type A receptors are activated. Reports indicate that acamprosate only works with a combination of attending support groups and abstinence from alcohol.Certain serious side effects include allergic reactions, irregular heartbeats, and low or high blood pressure, while less serious side effects include headaches, insomnia, and impotence. 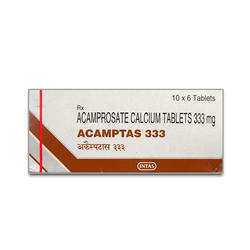 Acamprosate should not be taken by people with kidney problems or allergies to the drug. 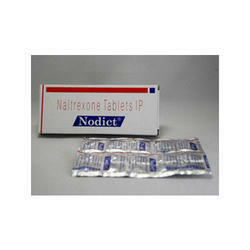 Nodict Naltrexone is an receptor antagonist used primarily in the management of alcohol dependence dependence. Nodict is marketed in generic form as its hydrochloride salt, naltrexone hydrochloride, and marketed under the trade names and Depade. Esperal Tablet for our priceless customers. The offered tablets are procured from reputed manufacturers who are committed to offer optimum quality products to the customers. With their accurate composition, these tablets are highly effective. Offered tablets are competitively priced. We are engaged in offering Acamprol 333 Mg Tablet to our revered customers. 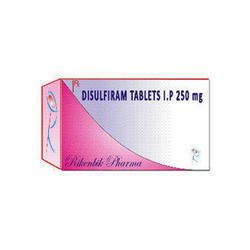 The offered tablets are formulated under hygienic environment using optimum quality inputs. Acamprol 333 MG Tablet effectively treats the changes in brain functioning caused by long-term alcoholism. It is characterized by a standard formulation comprising of acamprosate and other quality ingredients. Metadoxine enhances the elimination of alcohol from blood and tissues, which leads to faster recovery from alcohol intoxication. In the early stages of alcoholic liver disease, Metadoxine has been suggested to prevent the redox imbalance of the hepatocytes and to prevent TNF-? induction. 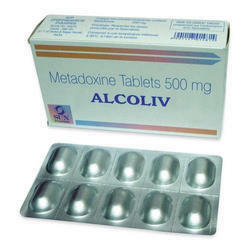 Alcoliv Metadoxine enhances the elimination of alcohol from blood and tissues, which leads to faster recovery from alcohol intoxication. In the early stages of alcoholic liver disease, Alcoliv metadoxine has been suggested to prevent the redox imbalance of the hepatocytes and to prevent TNF-? induction.